We are supposed to post once a month to keep our our privilege to edit this blog. 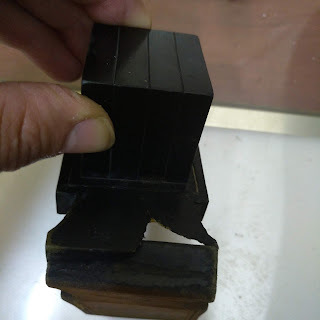 Here is more of a proper post with a dvar Torah. Perhaps something that other's may not have come across yet in their Torah studies. For those involved in עניני S"tam, Torah study in general gains a different prism through which we examine various sources. It is always through lens of this עסק, in the back of ones mind. You notice things you would have otherwise simply skimmed over. Here is an example of the thoughts that pasted through as I came across this past שבת in זהר בשלח מה׳ א׳. 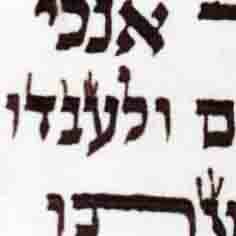 The Tefila of Habakuk is described as the concept of the Tefila, in the singular, of the Hand Tefilin, תפילה של יד. This unusual statement seems mentioned almost in passing, as a different explanations is then given at length, and this idea is not elaborated further inside. However, some מפרשים do discuss it a bit. The context is within a discussion of an aggada brought here about Habakuk Hanavi. How he was born from story of Elisha Hanavi blessing the שונמית women with a child. The child subsequently dies because the blessing was given on Rosh Hashana, only to her, and not to her husband. Since this was a day of Judgement, and the feminine aspect, in this case, the שונמית women, corresponds with the מלכות, דין, the strict judgement of the king on Rosh Hashana, this resulted in the death of the Child. When Elisha Hanavi brought the child back to life, it explains that the name of חבקוק is composed of a double חבוק, a double embrace. The first hug is that of his mother, as Elisha promises her, את חובקת בן, while the second hug is that of Elisha Hanavi himself, when he lay on top of, in holding the child. The question first posed by the Tanaim here, is why is the Nevua of Habakuk described with a Tefila, unlike the other nevi'im? Saying that the Tefila is Tefila shel yad is the first viewpoint brought in answer to this question. ר׳ אברהם אזולי, culls three major mefarshim: The Ramak, R' Chaim Vital and Harav Avraham Gilaniti. 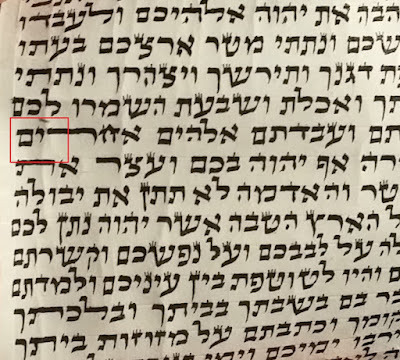 The Ramak explains that the question here is that it could have said תהלה לחבקוק, a 'praise' rather than a תפילה, a 'prayer.' But the concept of prayer here is rather, the source of life to חבקוק, since the level of 'Tefila' is what properly corresponds with the concept of מלכות of Rosh Hashana. This level and this day is the source of his life through the Navi Elsiha. The word Tefila itself, means "union" and and the hand Tefilin are united with the head tefilin, representing reattaching the life of חבקוק to his source. Harav Hagalanti describes the Tefila shel Yad also as מלכות, but that he died because of the שגיונות דעלמא, he was affected by the sins of the rest of the world that were being judged at that time on Rosha Hashana. Elisha Hanavi then drew down upon him a new רוח to enliven him. Interestingly, in the Siddur Arizal Kol Yakov (R' Yakov Kapil) it describes the intentions when wrapping the hand Tefilin, that "you stretch forth your left arm as one who is about to embrace their friend. You then place the house (tefila) on the proper place on the arm with the embrace of your right arm. This, in the secret of the of the verse, "his left hand is under my head and his right embraces me." How much indeed this apears as a חבקוק, a "double embrace" using both the right and left arm! That the request of שונמית and the blessing of אלישע was thought the שם on the Mezuzah.